In its fifth year, Tons of Rock is undisputedly Norway’s biggest and most known Rock and Metal Festival. It has become an annual meeting ground for everyone with a passion for heavy rock and metal in Norway, at one of the most spectacular festival arenas in Europe, the mighty Fredriksten Fortress in Halden. 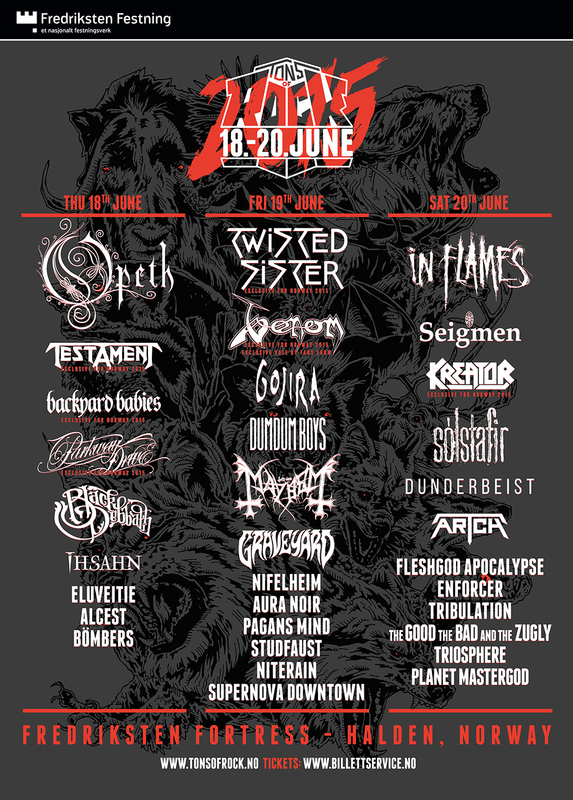 The festival is spread across 3 days with the most impressive line up of heavy rock and metal that has ever been presented in Norway, and has about a thousand happy festival goers camping in the festival camp right next to the fortress.